I don’t believe break-ups are given the sympathy they deserve. 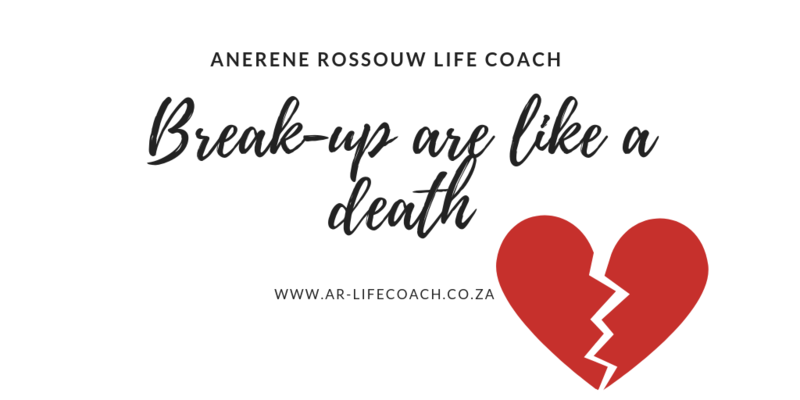 A break-up can be equivalent to a death. It’s a strange thought, right? If you have ever broken up with that person you thought would be the one, it feels like something inside of you dies: the dreams for the relationship, the hopes, the desires, the goals, and all the planning. It’s like a death. All those great memories that you shared must just be forgotten. Generally, when someone dies you are given time to grieve, you get a funeral to make peace, and you get family and friend sympathy and support. And you are allowed to take as much time as you need to “get over it”. When there is a break-up, if you are lucky and you have good friends and a large family you might get the sympathy and support you need. And let’s face it, you are meant to “get over it” yesterday.